Ikebukuro Station is the 2nd busiest terminal in Japan after Shinjuku, meaning the 2nd busiest in the world with 2.7 million passengers getting on and off per day. Ikebukuro is well known as the place where various cultures coexist, including Animation, a Chinatown and luxury shopping brand outlets. Until1903 when Ikebukuro Station established, there was a small village called Ikebukuro, literally meaning ‘a village of bag–like pond’. This was because there was literally a big pond like a bag in this area. 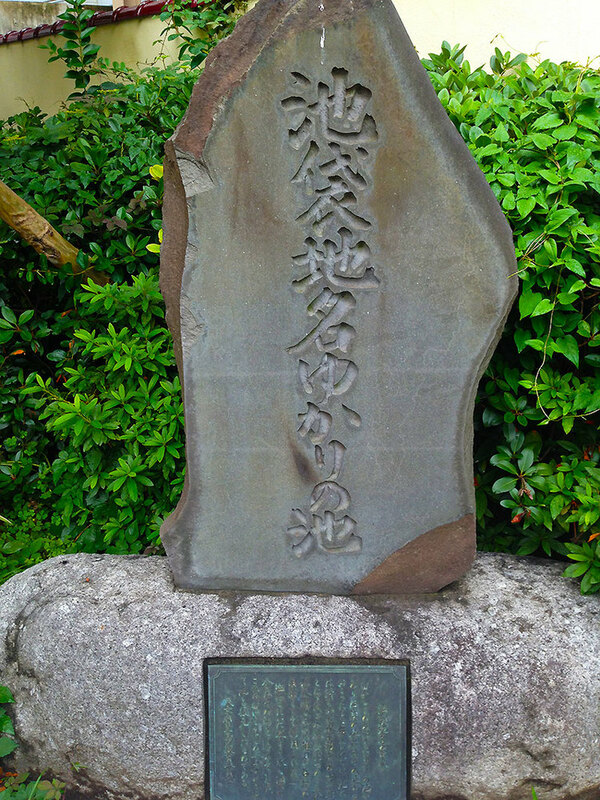 The Monument of Ikebukuro’s origin stands in front of the Hotel Metropolitan on the west side of the Station. After WWII, the American occupation army was stationed at Asaka Garrison north of Ikebukuro. Many illegal goods were carried from the Garrison to Ikebukuro, which was an important terminal point at that time. Ikebukuro West Gate Park was built on the grounds where the black market once existed. 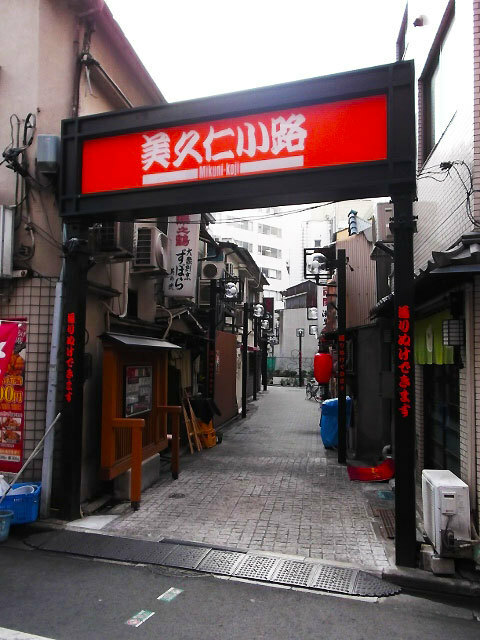 Two narrow streets called “Sakaemachi dori” and “Mikuni koji”, former black market streets, still exist at the east side of the station, where you can experience the old style of Japanese bars. Ikebukuro has a diverse population in terms of ethnic backgrounds. Over 14% of the population in the greater Ikebukuro District are originally from other Asian countries, especially China, which eventually lead to the creation of Chinatown. 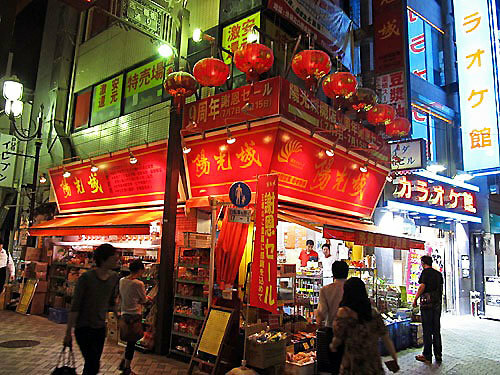 While three major Chinatowns located in Japan, such as in Yokohama, Kobe and Nagasaki, were created in the late 19th century after the Meiji Restoration, Ikebukuro’s Chinatown was established in the 1980’s. Ikebukuro is a sacred place for Otaku, or “Japanime” geeks, along with Akihabara and Nakano. A street called Otome-Road is the symbol of sub-culture here. A large animation company and movie broadcasting company relocated there recently, further enhancing the reputation of the sub-culture town. 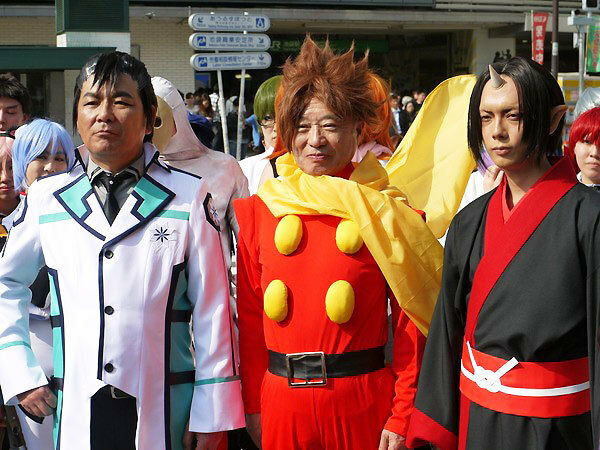 At Halloween in 2014, the Mayor of Toshima-ward, Yukio Takano, where Ikebukuro is located, promoted the sub-culture there as one of the attractions of the town. What is the representative building of Ikebukuro? It must be Sunshine60. Sunshine City was the first commercial complex in Japan that featured a variety of facilities including an aquarium, planetarium, museum, theater, hotel, amusement park, observatory, offices and restaurants etc. Established in 1978, it is 240 meters, or 788 feet. 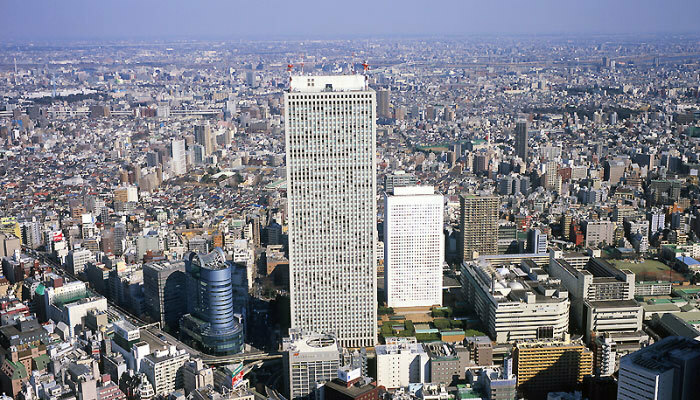 This was the tallest building in Asia until 1990 when the Tokyo Metropolitan Government building in Shinjuku was constructed. Sunshine City has an elevator whose maximum speed is 36 km per hour. This elevator can move from the first floor to 60th floor in just 35 seconds. Two elevators going directly to the Observatory on the 60th floor are called the “Shining Elevators”. You can experience a mini planetarium in the elevator while you going up to the 60th floor. You won’t get bored for this 30-second ride while going up and down the tower building. 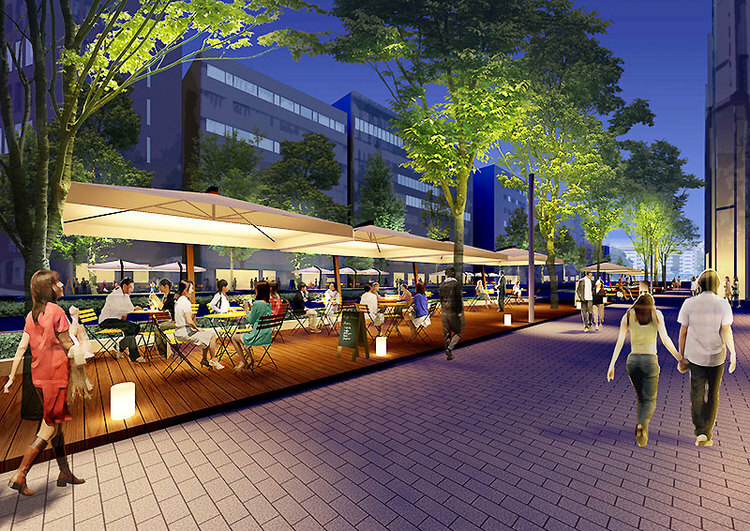 The city of Ikebukuro is said to have the largest number of restaurants and bars in Japan. New establishments are constantly replacing old ones. Why are they gathering in Ikebukuro? There are two reasons. 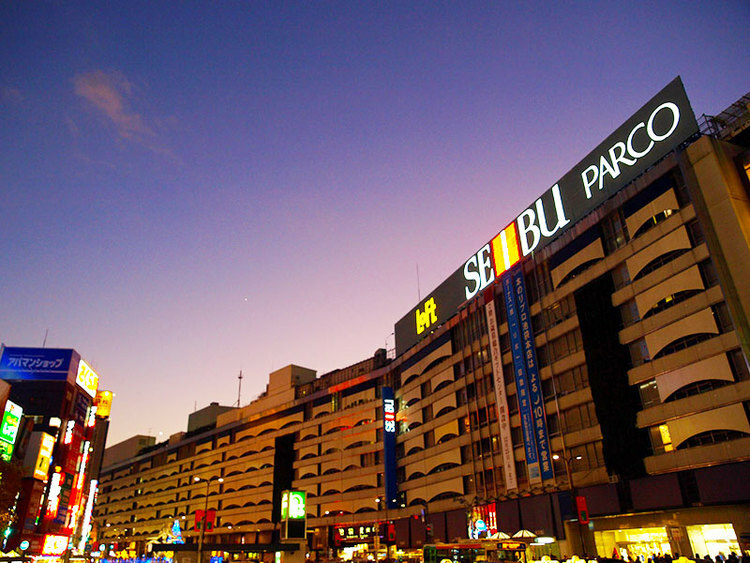 First, Ikebukuro is a big terminal with 2.7 million people passing through per day. Second, the rent is relatively lower than that of other mega towns such as Shinjuku and Shibuya. Ikebukuro offers a wider variety of international cuisines than you can find anywhere else in Japan, including cuisines from Pakistan, Malaysia, Germany, Syria, Persia, Jordan and Brazil, etc. In Ikebukuro you will encounter an interesting harmony of different styles and tastes. Ikebukuro is also recognized as a Ramen battle ground in Tokyo, together with Shinjuku. At the same time, you can find stylish restaurants and cafes around the town.